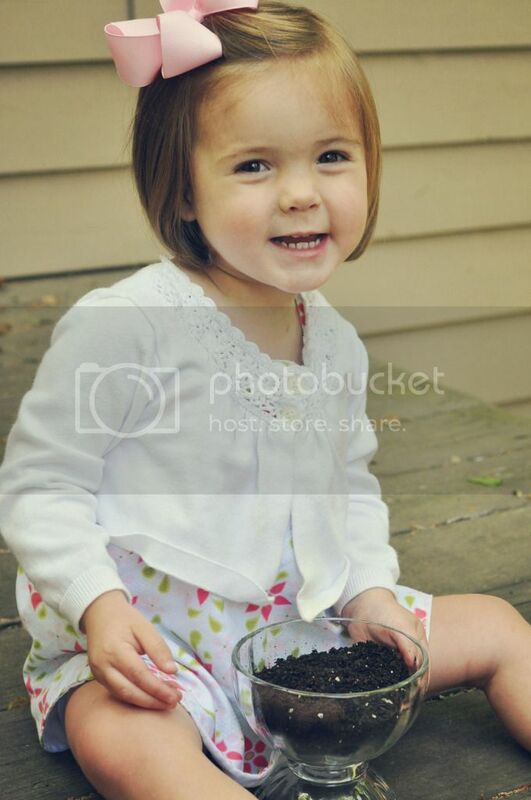 For This Child I Prayed: we grew some grass. 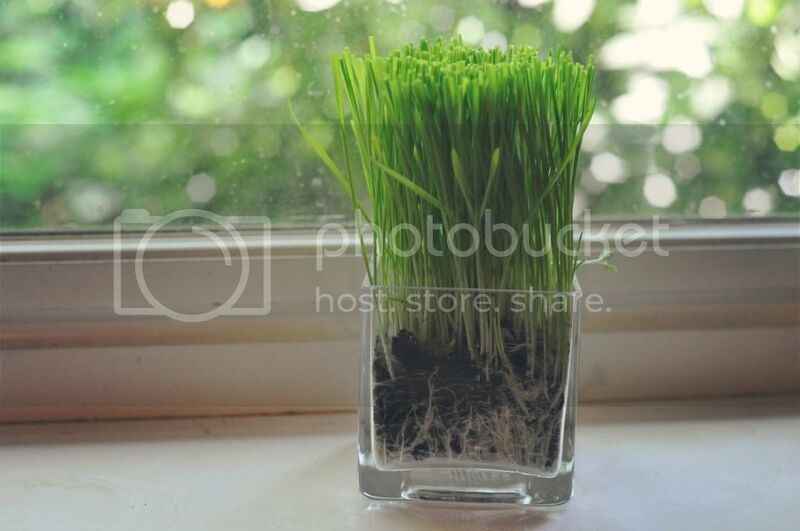 This is super duper easy, and you don't have to have a green thumb to get your green grass to grow. 1. 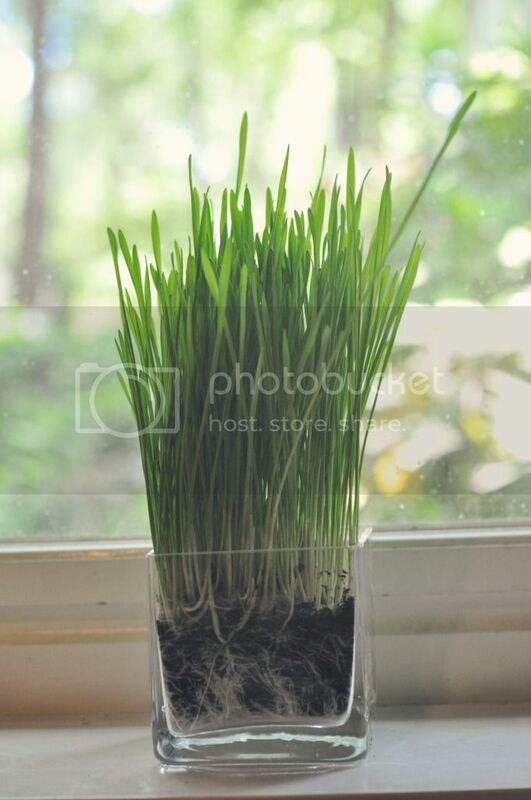 Getcha some Wheatgrass seeds. I got mine at a local gardening shop, but many health food stores sell them. You can actually "juice" this stuff and drink it. If you like. I shall not be doing this. 2. Grab a kid. Any one you have around will do. 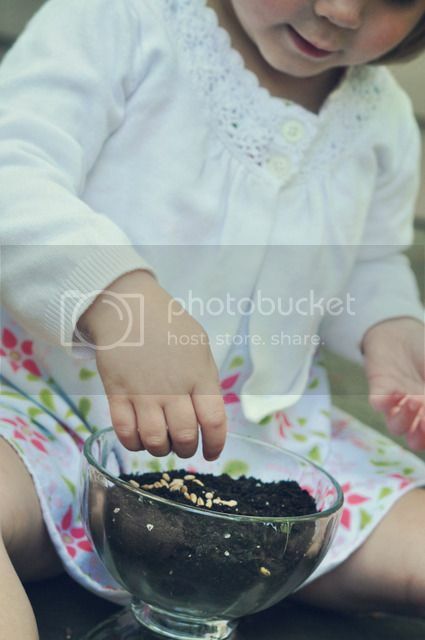 Oh, and a pot and some soil. I like to use something clear so I can see the roots growing into the soil. 3. 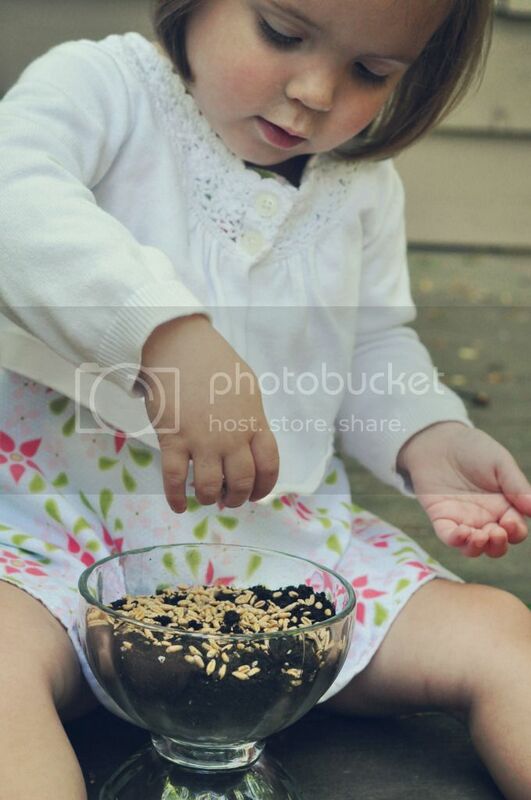 Have kid drop the lil' seeds into the soil. As much or as little as you like. 4. 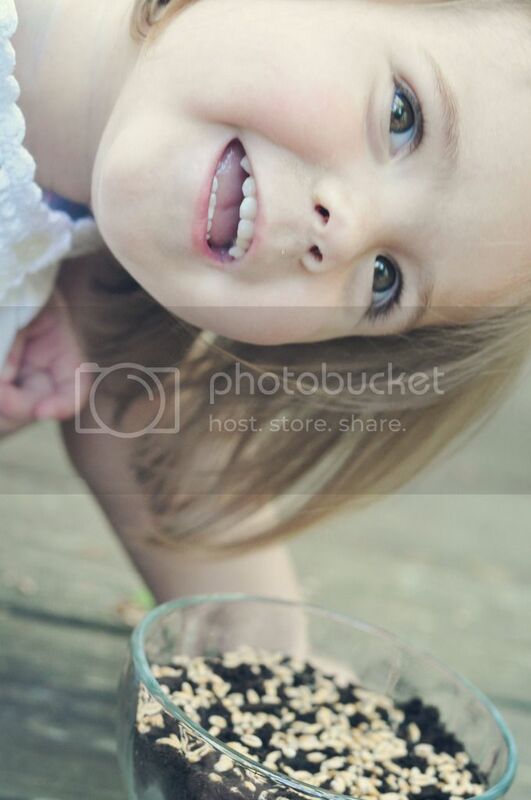 Next, have kid pose awkwardly with the seeds. Then promptly put kid down for a nap. 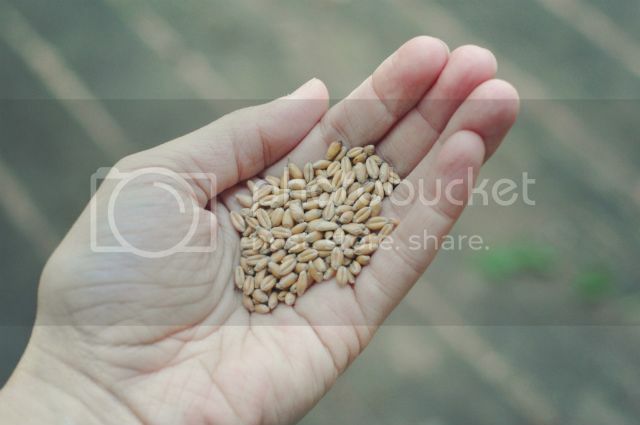 The seeds need peace and quiet in order to flourish. 5. I added a thin layer of soil over my seeds but you don't have to. 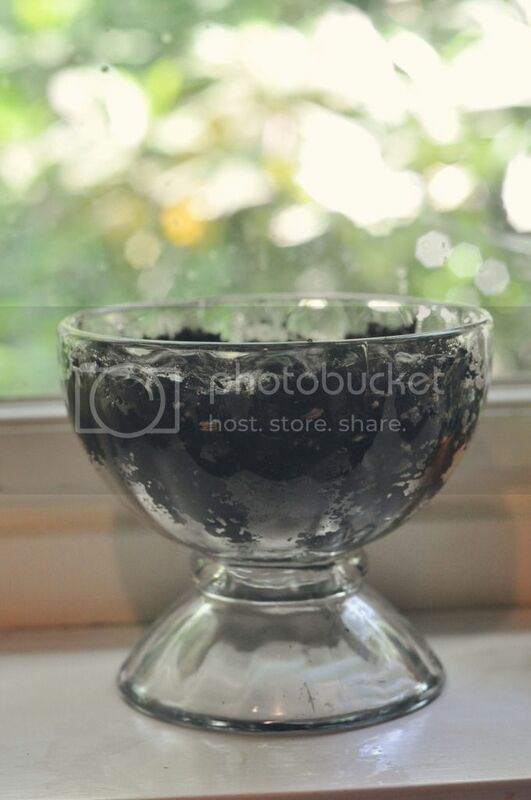 Run some water over it, and place it in a window sill or somewhere that gets some sunlight. 6. In a week, I kid you not, your grass will look like this!! 7. And when it gets a little outta control, give it a flat top!